Advance Registration Required! TOPICS COVERED: ADHD Adjustment Disorder Separation & Trauma Classes will start promptly. Please be on time! Advance Registration Required! TOPICS COVERED: Separation & Loss Adjustment Anxiety from Trauma Classes will start promptly. Please be on time! 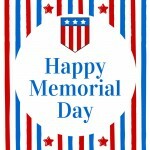 All LITTLE FLOWER Offices WILL BE CLOSED Monday, May 27th IN OBSERVANCE OF memorial day. OUR OFFICES WILL REOPEN on Tuesday, May 28th. Advance Registration Required! TOPICS COVERED: Developmental Disabilities Autism Intellectual Development Child Development Classes will start promptly. Please be on time!